Nigel nurtures every drop of Art by Evoi wine from vine to bottle himself, turning out hand crafted, small batch Margaret River gold each vintage. His tiny operation is only possible with Angel backing! This smooth blend ties together layers of fruit and texture with every sip. It was fermented in tanks with some small portions in new French oak to achieve a silky mouth feel. Get ready to enjoy a fuller bodied SSB and very long finish that is guaranteed to appeal to all white wine lovers, even those who usually avoid Savvy's. A Reserve Margaret River gem at your doorstep for under $16?? Dive in! Nigel's labour of love returns better than ever Angels. Wait until you taste the 2017 vintage! You'll revel in a complex wine that isn't too heavy but instead oozes drinkability. Nigel can't help but describe the wine using the classic line 'He aint heavy, he's my brother'. Just a few teasers....think peach notes, mandarin, butterscotch, vanilla bean, Brazil nut and classic French oak. All this deliciousness comes down to science really - the grapes for this wine are from Mendoza vines that grow on very rocky soil, producing just enough stress to make the vines put extra energy and nutrients into their offspring (the grapes). Nigel wild fermented the premium grapes and used a blend of barrel and tank to capture the right balance of flavour for Angels to enjoy. 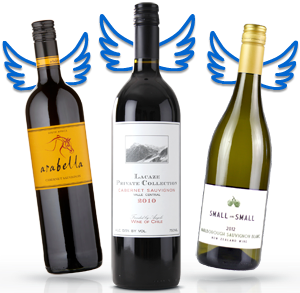 Reserve Willyabrup Chardonnay at this Angel price (!) 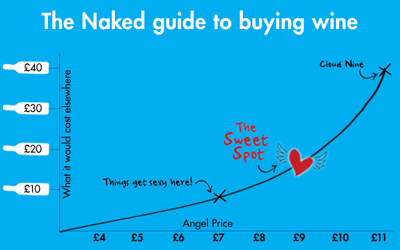 is truly unmatched, so why not dive in to the Top Shelf perks of being an Angel and treat yourself to a bottle of Nigel's finest. You deserve it! Get ready to enjoy a fuller bodied SSB and very long finish that is guaranteed to appeal to all white wine lovers, even those who usually avoid Savvy's. A Margaret River gem at your doorstep for under $14?? Dive in!